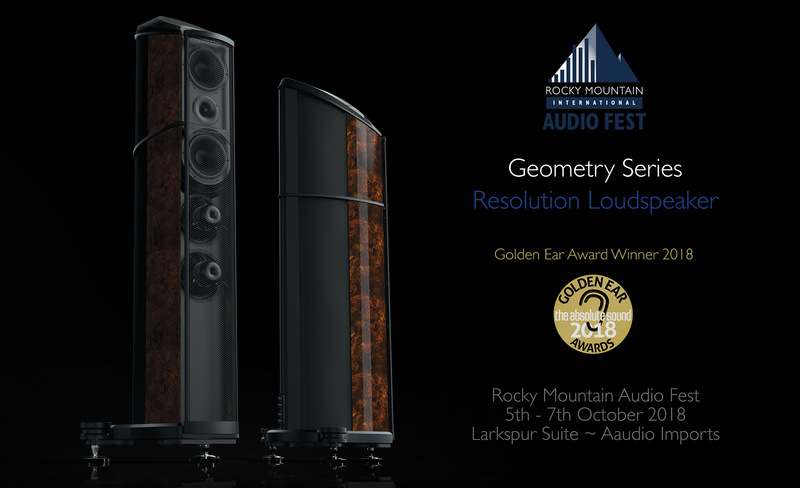 Having recently scooped the coveted Golden Ear Award from The Absolute Sound USA, Wilson Benesch are delighted to announce that the Resolution will be on live demonstration at the forthcoming Rocky Mountain Audio Festival in Denver, Colorado, USA. The Resolution will be presented by US Import partners Aaudio Imports in a knockout system that includes an all Ypsilon front-end, with a Rocky Mountain Premiere for the Ypsilon DAC-1000. Wilson Benesch, along with Aaudio Imports would like to make a very warm welcome to visit us in the Larkspur Suite. As normal, you can stay up to date with the all Wilson Benesch shows and new dates as they are added via our Facebook and Twitter accounts.